FORT LAUDERDALE, Fla. -- A distinctive looking man was picked up by police Tuesday in southwest Miami-Dade and is facing a weapons charge, CBS Miami reports. 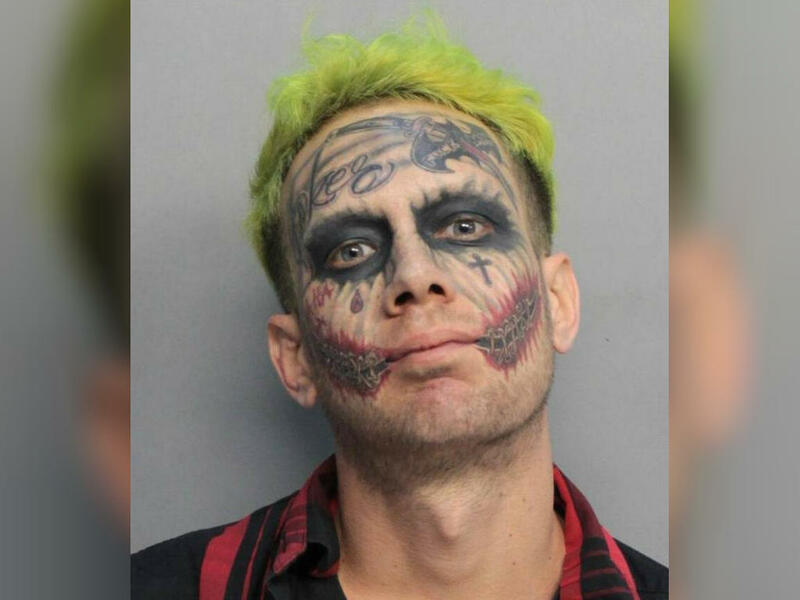 Just after 6:30 p.m., police received reports describing a man with facial tattoos and green hair — bearing a striking resemblance to the Joker in the "Batman" movies — after allegedly pointing a gun at passing cars on a local street. The officer questioned Sullivan while conducting a pat-down. He reportedly found a Smith & Wesson .380 in one of Sullivan's pockets and placed him under arrest. In court, Sullivan was given an assistant public defender, but he declined the state's services. "I don't even feel like signing the paperwork right now. I am not in the mood for that," he said. The judge found probable cause for the charges. Sullivan's mother and two sisters are speaking out because they want to defend him. They said he's never done something like this before and his mother does not believe he would have threatened anyone with a gun. "I feel terrible and this is something where he should have known better," his sister Monica Sullivan said. "I'm his mother, and I don't believe he would have done something like that," Roxanna Sullivan said. "He's a good kid. You know. He has a lot of tattoos. But he's a nice kid with some problems. He is mentally disabled and is handicapped," his mother said. In profanity-laced posts on YouTube, he talks violently and a weapon is visible. Sullivan's two sisters and mother said he's an entertainer, who created the posts to have fun and would not harm anyone. "He's a very goodhearted person. He doesn't look for any problems," Monica Sullivan said. "They misjudged him by the way he looks. It's not right." His bond was set at $5,000. Sullivan's sister told CBS Miami she's going to post that bond.